Amroha (Uttar Pradesh) [India], Dec 23 (ANI): Amid the growing debate on Lord Hanuman's identity, former Indian cricketer Chetan Chauhan has said that the lord was a sportsperson who is worshipped by many sportspersons even today, adding that his caste should not be discussed. 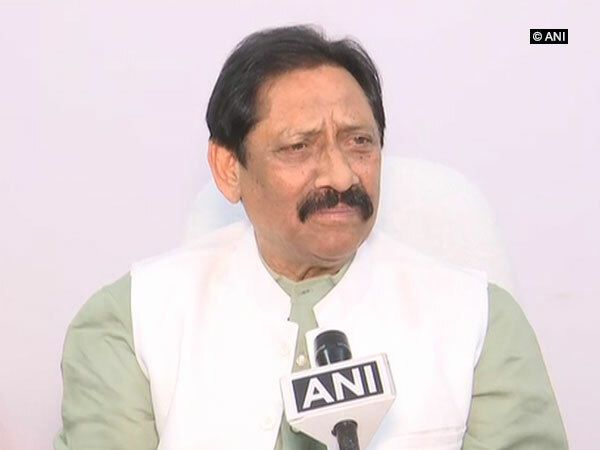 New Delhi, [India] Mar 10 (ANI): Former cricketer and Uttar Pradesh Minister Chetan Chauhan on Saturday said that the Board of Control for Cricket in India (BCCI) should not withhold Mohammed Shami's license as "the issue has nothing to do with cricket". New Delhi [India], Mar. 10 (ANI): The first National Conclave on Blind Cricket was held on 9th March in New Delhi by Cricket Association for the Blind in India (CABI) in association with Induslnd Bank. Kanpur (Uttar Pradesh) [India], October 29 (ANI): The Bharatiya Janata Party (BJP) workers on Sunday alleged that they were beaten up by several policemen outside the Landmark Hotel where they had gathered to meet Uttar Pradesh Sports Minister Chetan Chauhan yesterday. Agra (Uttar Pradesh) [India], Oct 4 (ANI): The Queen's Baton Relay arrived in Agra on Wednesday during its India leg as it tours the globe ahead of next year's Commonwealth Games in Australia.